Paying a federal income tax now seems so routine that it’s hard to imagine a time when income taxes were controversial. The federal income tax as we know it is actually only a little over a hundred years old. According to the Center on Budget and Policy Priorities, individual income tax dollars made up 46% of federal tax revenue in 2014. That’s a whole lot of money. Every spring, employers file W-2 forms on behalf of their employees and Americans fill out federal income tax returns on forms with opaque names like 1040 and 1099. 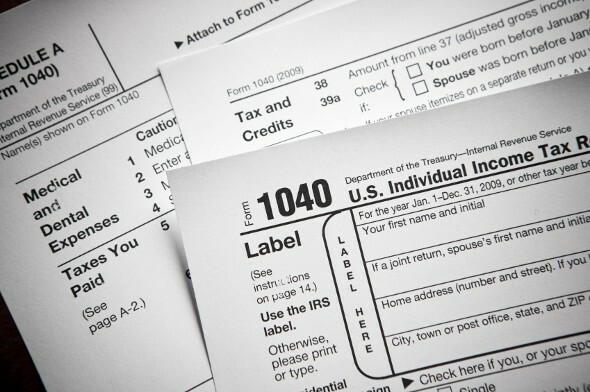 Tax “returns” are the forms you submit to the IRS that determine your tax liability. If you’re an employee, your employer withholds some income tax payments from your paychecks. When you start a job you use IRS form W-4 to indicate how your employer should withhold taxes from your pay. The federal income tax system in this country is progressive. “Progressive” in tax lingo means that people with more money pay a higher proportion in taxes. The IRS has tax brackets tied to income. The more you make, the higher your tax bracket and the greater the percentage of your income that’s taxed. Folks with very low incomes or no income don’t pay federal income taxes at all. You don’t take your tax bracket and apply that percentage to your entire income, though. That’s because federal income taxes are “marginal.” When people refer to their tax bracket they’re actually referring to the top marginal tax bracket in which they fall. If you qualify in the first bracket your income is taxed at that rate up to a certain income threshold. If you have income over and above what would put you in the first bracket, that extra income is taxed at the second marginal tax bracket’s rate, and so on. Filing your federal income taxes correctly can be daunting, but income tax calculators and interactive software (like TurboTax or H&R Block) are demystifying the process. Planning on sending your kids to college? You’ll need to have your income tax returns handy to fill out the Free Application for Federal Student Aid (FAFSA). As mentioned, the federal income tax was not always a part of American life. Abraham Lincoln instituted a precursor to the income tax to help fund the war effort during the Civil War. That tax was repealed in 1872, though. 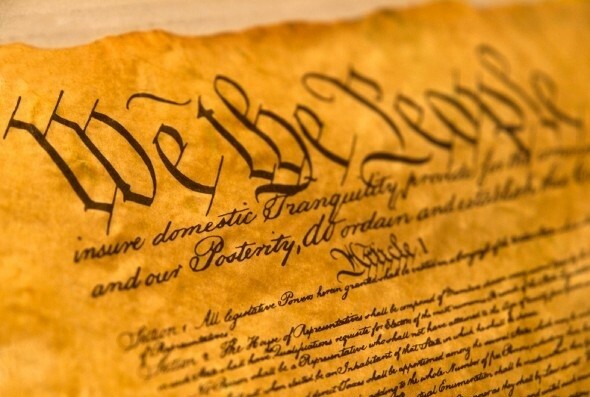 1894 saw the creation of a new income tax, but the Supreme Court ruled it unconstitutional in 1895 because the tax was direct and not apportioned to the states on the basis of population. Then, in 1909, President Taft (bet you haven’t thought about him in a while) proposed a constitutional amendment that would give the government the power to levy a direct income tax without spreading the tax burden across the state according to population. It took until 1913, but the 16th amendment was ratified and the first Form 1040 was born. The Revenue Act of 1918 created a progressive income tax rate structure with rates as high as 77%. Seriously. Since the federal income tax came into being it has been a source of political controversy – and groans from taxpayers. There’s taxable income and there’s non-taxable income. What is non-taxable income, you ask? Child support payments, life insurance proceeds received after the policyholder dies, cash rebates and welfare benefits are all examples of non-taxable income. Your Social Security income may or not be taxed, depending on whether you have other income on the side and where you live. It should be clear that your taxable income can be pretty different from your actual income, depending on your circumstances. Taxable income forms the basis for your taxes owed. If you’re self-employed your income tax situation is a little more complicated. Taxable income for the self-employed takes into the account the fact that you haven’t had an employer withholding your income taxes for you. Plus, you have to pay Social Security and Medicare taxes yourself, without an employer chipping in and withholding some of your wages to cover the tax bill. If you work for someone else you split the burden of Social Security and Medicare taxes with your employer. If you’re self-employed, you shoulder that burden all on your own. The good news is that you can claim a deduction for a portion of that tax burden. If you expect to pay taxes of $1,000 or more when you fill out your return you should pay estimated tax over the course of the year via Form 1040-ES. It may sound like a pain but it will save you from getting one giant bill come April. Paying your income taxes isn’t exactly fun, but that money funds lots of important things that we all depend on. If filling out your tax returns has you scratching your head, consider enlisting the services of an accountant or some tax preparation software. If you’re lucky enough to get a tax refund at the end of the process, have a plan for what you’ll do with that money. Pay off old debts? Bulk up your emergency fund? Both great options. Plan ahead. 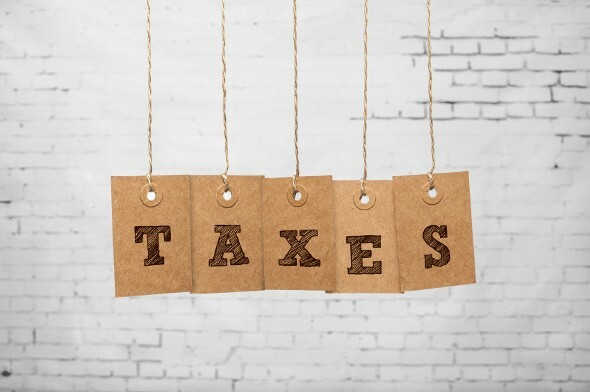 Many financial advisors offer tax planning, which can help you to minimize your income taxes and make smart choices to reduce taxes down the road. A matching tool like SmartAsset’s SmartAdvisor can help you find a person to work with to meet your needs. First you’ll answer a series of questions about your situation and goals. Then the program will narrow down your options from thousands of advisors to up to three registered investment advisors who suit your needs. You can then read their profiles to learn more about them, interview them on the phone or in person and choose who to work with in the future. This allows you to find a good fit while the program does much of the hard work for you. Figure out whether you’ll be getting a refund or will owe the government money so you can plan your household budget accordingly. SmartAsset’s tax return calculator can help you figure this out.